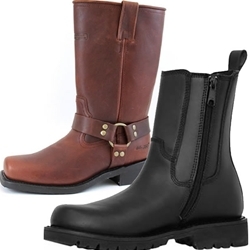 The Bikers’ Den aims to showcase the top manufacturers of quality Leather Motorcycle Boots to ensure you make a statement while offering the utmost in protection. Shop from a wide range of brands like Harley Davidson, Milwaukee, Alpine stars, First Gear, Joe Rocket, River Road, Caterpillar, Carolina, Chippewa and Icon to name a few. 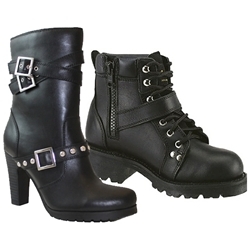 We are your online catalog when it comes to top of the line Motorcycle Boots for men and women. Our goal is to help you find the perfect design and style to suit your individual riding needs.